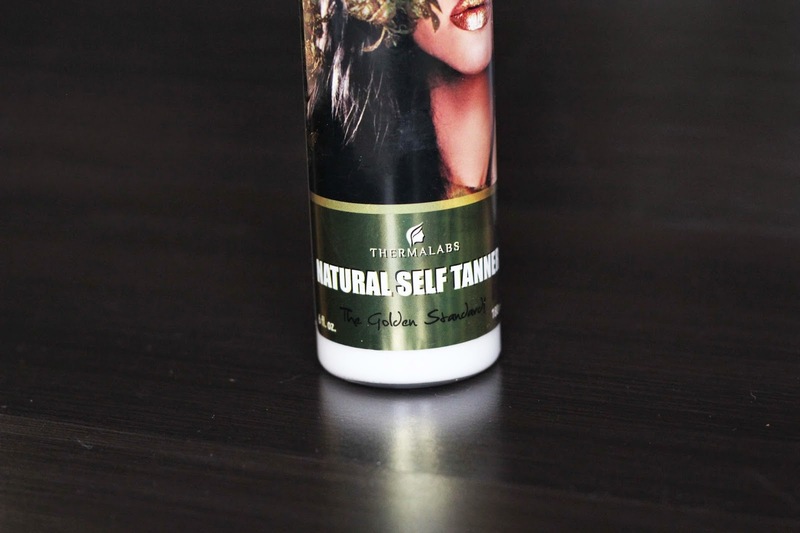 Thermalabs has come out with an Organic Self Tanner with a brand new formula for 2015! Personally, I really enjoy products that have organic products just because I feel better about it. Their certified organic ingredients are avocado oil, olive oil, Shea butter, cocoa seed butter an aloe leaf juice! 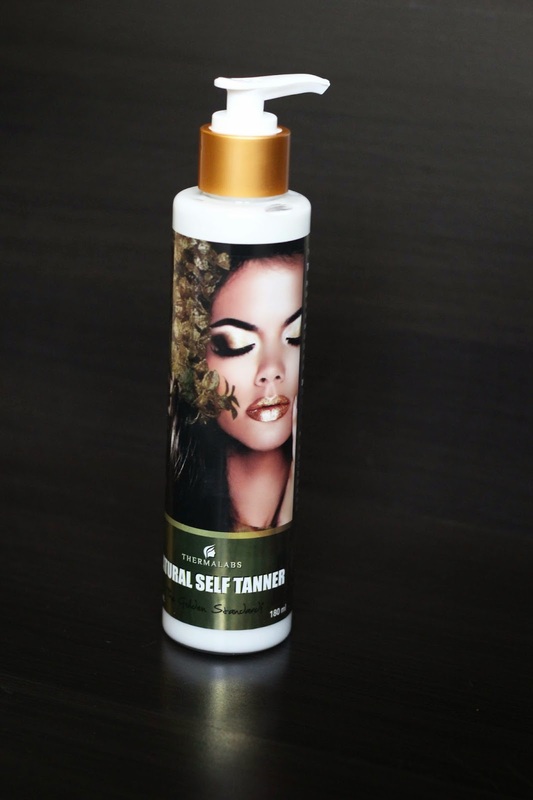 The tanner works over night so you can wake up with a beautiful, glowing tan! No sun, no dangerous rays, and you don't even have to leave the house! I like the last part the best haha! If you don't like the results it gives you then you get your money back 100% which I really appreciate because there is nothing worse than that. When I tried the self tanner out on myself I didn't have any results. I had messaged them however and was told that sometimes this does happen. 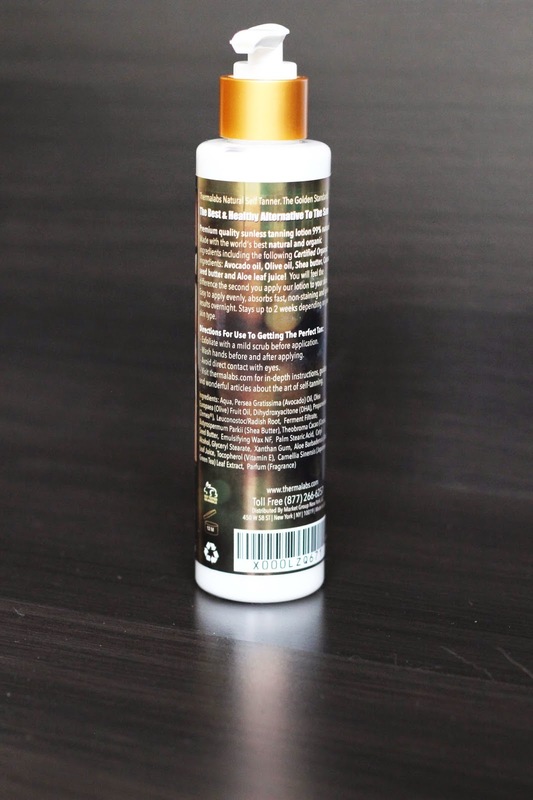 The active (DHA) ingredients in the self tanner reacts differently to different types of skin and on a rare occasion it may not effect it at all. I did do a body scrub beforehand on the exact spot so there may have been residue left over that wasn't letting the tanning lotion get to my skin. Thermalabs is not tested on animals which is awesome to see. Also fun fact, see that little jar with the 12 M in it? That means that the product is good for up to 12 months after you've opened it. A lot of products have this and you should always be aware of them! You can check them out on their website http://www.thermalabs.com/home/, which by the way is beautiful, and they have an awesome informational blog http://www.thermalabs.com/home/medium-alternate/.